Is it irresponsible to advise undergraduates to major in the Humanities? I am not usually given to screeds about the press. I advised the newspaper here at Messiah College for several years, I sponsored a recent overhaul of our journalism curriculum, and I continue to have broad if now somewhat indirect responsibility for student media here at the college. And, secretly, in my heart of hearts I think we need a lot more professors in the humanities looking for how to have second careers in journalism, communicating directly with the public in accessible terms about the thorny difficulties of their work. So I appreciate journalists, thinking they have a hard job that is mostly under appreciated. The only world that is worse than a world with a free press is a world without one. I single out philosophy and anthropology because those are two fields — along with zoology, art history and humanities — whose majors are least likely to find jobs reflective of their education level, according to government projections quoted by the Associated Press. But how many college students are fully aware of that? How many reroute themselves into, say, teaching, accounting, nursing or computer science, where degree-relevant jobs are easier to find? Not nearly enough, judging from the angry, dispossessed troops of Occupy Wall Street. The thing is, today’s graduates aren’t just entering an especially brutal economy. They’re entering it in many cases with the wrong portfolios. To wit: as a country we routinely grant special visas to highly educated workers from countries like China and India. They possess scientific and technical skills that American companies need but that not enough American students are acquiring. via The Imperiled Promise of College – NYTimes.com. I can’t get past the irony that Bruni was an English major in college and has a degree in journalism. Real growth industries. I realize the ad hominem, but frankly, Frank ought to know better. My overriding concern is that these bromides about channeling students in to areas where there supposedly will be jobs rests on multiple assumed grounds that are shaky at best, sand at worst. First, it is terribly misguided to believe that what a student thinks they want when they are 17–or what we think they ought to want–is an adequate index of what they will want or what they will succeed at. College is first and foremost a time of exploration and development, a time of discovery. Most students change their major after entering college, most end up doing something after college that is not directly related to their fields of study, and most will change fields and go in different directions during the course of their lives. When I was 17 I thought I wanted to be a lawyer and possibly go in to politics; I began as a major in History and Political Science, then shifted to English because I enjoyed the classes more. I had a conversion experience at the hands of T.S. 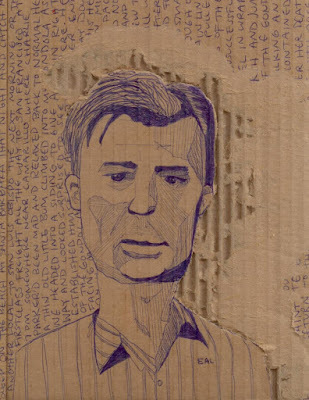 Eliot, William Faulkner, and Joe McClatchey–not the poet, the Victorianist at Wheaton College where I did my undergraduate work, the best teacher I ever had–and decided to go for a degree in creative writing in the hopes that I would be the next Walker Percy. It wasn’t until my second year of graduate school that I decided I loved higher education and wanted a PhD, and it wasn’t until I was nearly 50 that I decided administration could be a noble calling. (Others still doubt). A long way from my early dream of being a congressman or a Senator, a long way from the dream of being a William Faulkner or a Hemingway. It is secondarily irresponsible to believe that we can know what the hot jobs will be in the 2020, much less 2030 or 2040, despite our prognostications. Five years ago Finance majors were littering the coffeeshops of Camp Hill (ok, there’s only one), having graduated from the best colleges only to be back home living with their parents. In my own case, I am very sure that whatever the hot jobs were in the 1970s, novelist and Senator were not among them. But whatever we thought they were, I’m sure they aren’t all that hot any more. We do not, in fact, know what turns the economy will take, though we can know that we need students who are broadly educated, in whom creativity has been inculated and encouraged, and who possess the flexibility and the skills that can be adapted to a rapidly changing job environment. There’s nothing about majoring in philosophy or anthropology that prevents students from having that kind of “portfolio”–indeed, their majors do much to produce the skills they will need, and in combination with a general education and elective choices that can develop their skills and knowledge base in technical field or in business, such a student could be extremely desirable for a wide range of jobs in the economy of the future. Thirdly, WHY PICK ON PHILOSOPHY? It makes up less than one half of one percent of all college majors in the country and anthropology majors not too many more. Does Bruni really believe this is a solution to our economic difficulties? GET RID OF PHILOSOPHY MAJORS. There’s a political slogan with legs and an economic program with brio. Why even pick on humanities majors as a whole–depending on which set of majors you take up, they make up between 8 and 12 percent of the nationwide student population and have for a very long time. Their unemployment rates are somewhat higher that the nation as a whole–though not so drastic as the doom sayers suggest–but there are so many fewer of us it is laughable to believe that the unemployment problem is going to be solved by getting those who remain to drop what they are doing and become unhappy engineers. Bruni was an English major so I will forgive his weaknesses with statistics. It is not irresponsible to believe that colleges should do more to prepare students for the job market that will await them, but it is irresponsible to believe we will solve the problems facing students by forcing them all in to preprofessional or technical majors. Indeed, if I can be forgiven one more point, it is bizarre that Bruni thinks a student’s portfolio is made up of his or her college major. A student brings or ought to bring an entire panoply of experiences associated with college life, in and outside the classroom, and through internships and other forms of learning as well. Believing that we can solve students’ problems by channeling them in to a major demonstrates a poor understanding of both how education works and how the job market works. We need to do better, but doing what Bruni suggests will be doing disaster, not doing better. We need to remember, first, to paraphrase Andy Chan down at Wake Forest, that we are in the education business not the job placement business, even if students getting jobs is important. We are not a job shop, we are a culture and community that touches the whole of student lives–including their preparations for a career after college. When we are at our best that is for their individual good and their individual portfolios, but also for the good of the nation as a whole–not just its economy. That is what responsible education looks like. This entry was posted in careers, education, higher education, Humanities, liberal arts, technology on April 29, 2012 by Peter Kerry Powers. I asked my son if there was anything unique or interesting about school today (I admit I feel like the Dad in the old Crackerjack Commercial). He said, “No, not really. PSSA’s.” I think generally speaking his view of hell these days is an afterlife spent in school taking PSSA tests. I’ve written about this before, so I won’t rant again….Except to say that the view of schooling this regimen seems to imply stands in contrast to the kinds of things I took up earlier today in thinking about the kinds of personal investments we make and personal rewards we gain from the highly individual and completely compelling journeys that we get to go on with our students over the years. This transformative relationship that is born in a mutual journey in learning is missed in our current obsession with standardized measurements. Let me hasten to say that this doesn’t mean we have to be against assessment. I happen to be the chair of our steering committee for our Middle States accreditation (Oh, Happy, Happy Day! ), and I am a firm believer in assessing what we are doing and evaluating how well our students are learning. On the other hand, our methods should be as subtle as the human hearts and minds whose stock we are taking. Such subtlety takes time and, not incidentally, money–something in short supply in both educational systems and their monitors. The result is standardized tests that result in…well, standardized expectations and standardized students, producing students who are good at taking tests. Is this what an education is for? At present, the standardized tests are used inappropriately. There should be no stakes attached to them. Decisions about teacher evaluation should not be tied to student scores. Decisions about bonuses should not be tied to student scores. Decisions about closing schools should not be tied to student scores. Decisions about retaining students should not be tied to student scores. All of these are weighty decisions that should be made by experienced professionals, taking into consideration a variety of factors specific to the child, the teacher, and the school. Tests are a tool, not a goal. We should use them as needed, not let them use us. Their misuse has turned them into a weapon to narrow the curriculum, incentivize cheating, promote gaming the system, and control teachers. The more we rely on high-stakes standardized tests, the more we destroy students’ creativity, ingenuity, and willingness to think differently, and the more we demoralize teachers. The important decisions that each of us will face in our lives cannot be narrowed to one of four bubbles. We must prepare students to live in the world, not to comply on command. I am happy that I have had many students that did not comply on command and could not be defined by the bubbles they filled out. It must be some kind of testimony to the human spirit that they survived the education we have foisted on them in the name of achievement. This entry was posted in Uncategorized on April 26, 2012 by Peter Kerry Powers.